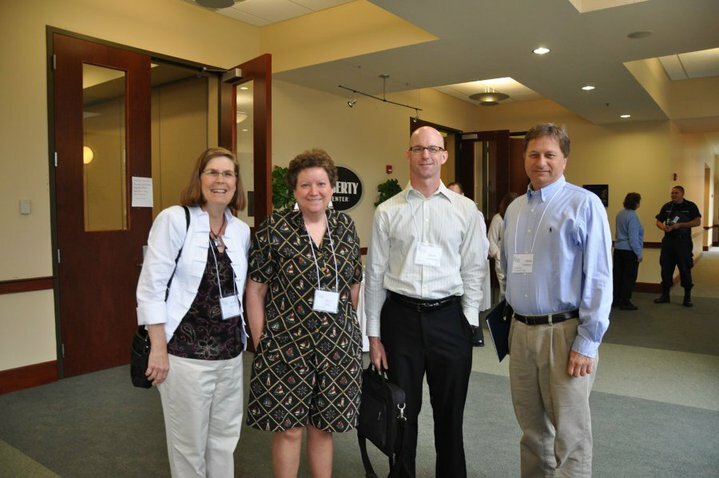 From left to right: Denise Sachau (SHPO), Sally Frye, Bryan Lijewski (SHPO), Brian Conway (SHPO). Attending the lighthouse conference in Traverse City, June 14 -17, 2010. Photo provided by Jeri Baron Feltner.